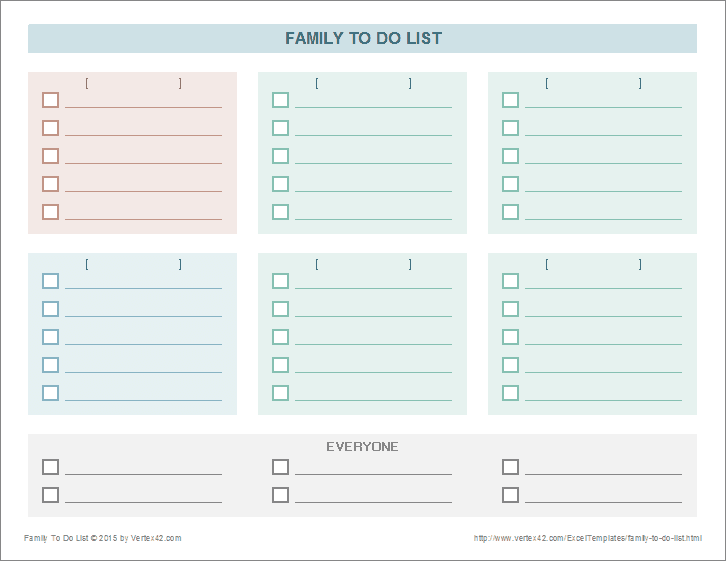 Download a printable family to do list for Excel or PDF. 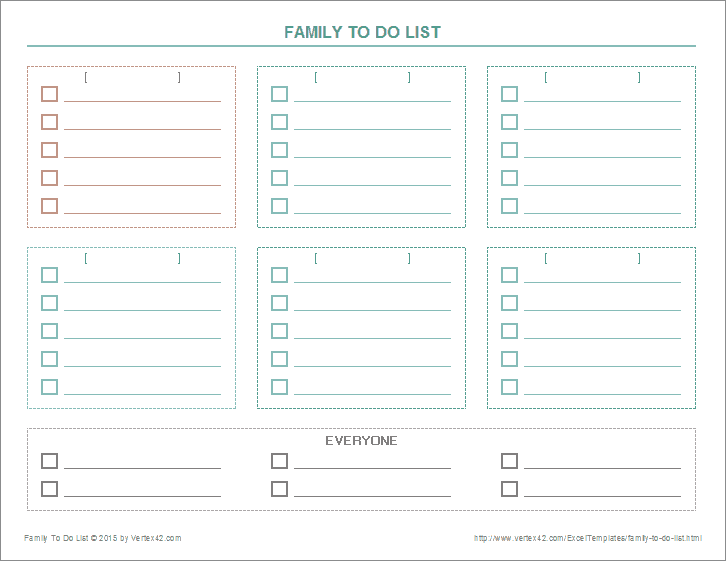 This family to do list template was designed for either creating separate lists for different family members, or for using the separate sections for different categories of tasks. For example, you could use labels like Work, Yard, Music, School, or Reading if you want to record your goals in different categories. 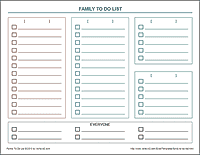 The two PDFs below will not work for every possible family size, but they do provide a couple layouts for organizing separate to do lists. 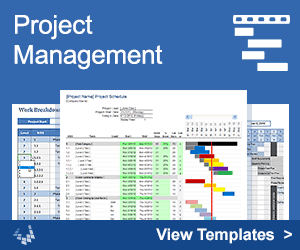 If these PDFs are not exactly what you want, you can download the Excel template below and modify it to fit your family. This Excel template includes two different designs for two different family sizes as shown in the preview images above. Each is on a separate worksheet tab. You can add the names of family members in place of the brackets [ ]. For example: "Mom" in the red, "Dad" in the blue, and the children's names in the green sections. 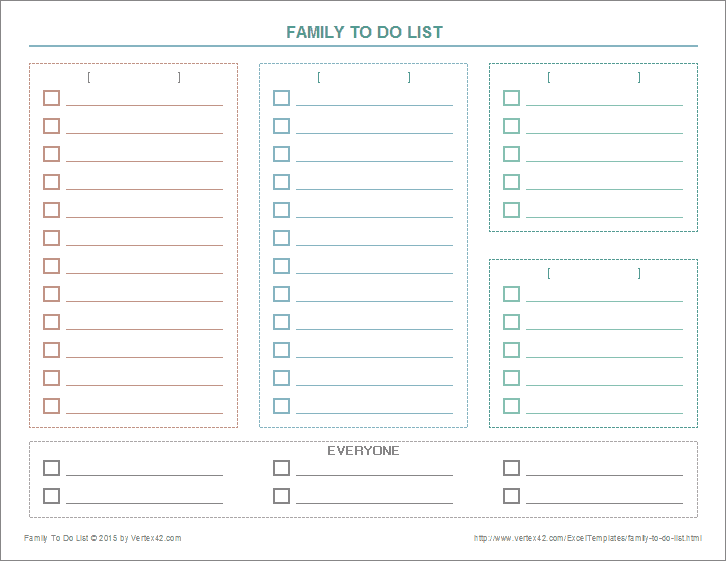 Categorized Lists: You can use this template for more than just different family members. 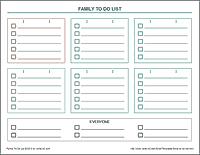 You can label the different lists however you want, for example: Work, Yard, Music, Reading, School, etc.